The show’s fourth season very rarely backed off the gas pedal, with the final episodes containing a show down between Brianne of Tarth and the Hound, the bloody grudge match between Oberyn Martall and The Mountain, Wildlings assault The Wall in the north, and the imp Tyrion Lannister escapes captivity and certain death and kills his father in the process. “The Wars to Come” kicks off with a flashback of two little girls seeking out a witch in the woods Hansel and Gretel style. The witch tells a mouthy blonde her bleak future and the scene jumps to the present, where Cersei Lannister has her murderous gaze on Margaery Tyrell, the new queen. The episode catches up with Daenerys Targaryen, the Mother of Dragons herself, who is in Mereen and has found herself quite bored with being a queen. There is civil unrest across her conquered lands and a group known as the Sons of the Harpy has murdered an Unsullied warrior. Her mercenary-turned-lover, Daario Naharis, suggests she bring out her dragons to show why people should fall in line. We then get to see her two smaller dragons, as Drogon hasn’t been seen in weeks, and they are chained in the basement of a building in Mereen. As she calls to Viserion and Rhaegal, they screech and breathe fire and come at Daenerys quite aggressively. She runs out of the room terrified. At the Wall, things seem quite settled as most of the Wildlings are now prisoners. Their leader, Mance Rayder, is a prisoner and “King” Stannis Baratheon wants the stubborn man to “take the knee” so the Wildlings can help him assault Winterfell and retake it from Roose Bolton. Naturally, Jon Snow is given the task of convincing him it’s worth it, but the man only cares about having the “freedom to make those mistakes” and is subsequently burned at the stake. Somewhere in the wilderness, Brianne is tired of Podrick and just wants to find Sansa Stark, who happens to roll by in a carriage with master manipulator Petyr Baelish. In a mostly awkward scene, it’s revealed that one of Cersei’s cousins, who she’s been intimate with, has joined a group called the Sparrows. We also find out in a low-lit room Margaery Tyrell may have her own plans for Cersei – the witch’s prediction that a younger, more beautiful lady would bring about her downfall coming to fruition. 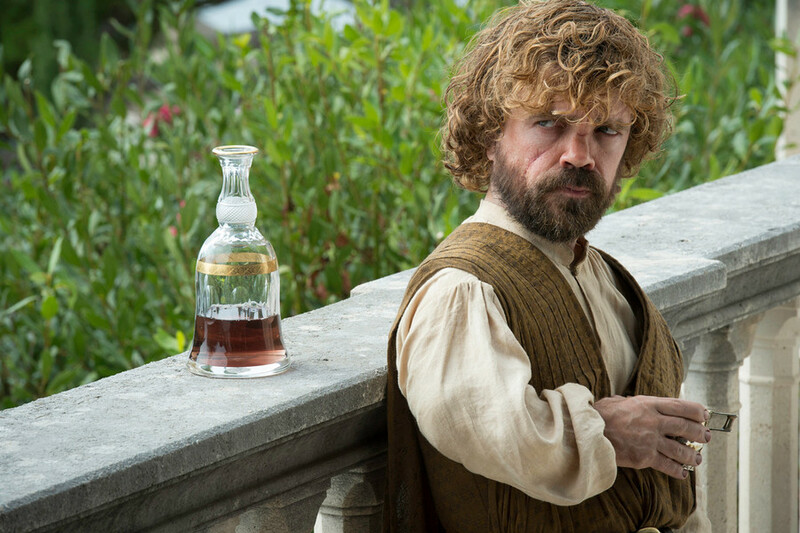 When Tyrion is skeptical, Varys confirms he is going to Mereen to meet Daenerys Targaryen and Tyrion can either stay and drink himself to death or join him. This episode was definitely a sleeper compared to the last few episodes of season four, but the exposition was definitely necessary to lay the groundwork for the remainder of the season. So what we have to look forward to is Mereen: what will Dany do to get her people in line? What will happen when Varys and Tyrion get there? What will happen with Jon Snow as life changes at the Wall? Will Stannis try to force the Nightswatch into fighting for him as he moves to take the throne? How long will Brianne keep up the search? What will happen in King’s Landing without Tywin Lannister to cow everyone else?